Secondo vuoi quale potrebbe essere il prezzo di listino? Sono impressionanti! Non mi sembra di avere mai visto in un ampli cuffie 19 watt su 300 ohms. Ma è possibile??? un bel carro armato che roba è ? non trovo niente in giro per la rete di informazioni. Volendo è già ordinabile, sempre in quei lidi a....rullo di tamburi...$ 548 dollari! Poi magari è una ciofeca, ma devo dire che rispetto a certe altre ciofeche che si vedono in giro, fa una grande figura! Io che sono un feticista degli interni non posso che dire che è BELLISSIMO ! Ha colpito anche me! Per caso sai dirmi cos'è quello scatolotto li in mezzo?? Devo anche dire che il distributore di Singapore è stato gentilissimo e velocissimo nella risposta, magari non vuol dire nulla, però se il buongiorno si vede dal mattino...è sicuramente un buon segno! Quello argento è il pot del volume, quello nero un trafo... Intendevi altro? Si, sino la potenziometro ci sono arrivato, ma non avevo capito che quello nero era un traformatore! In realtà, avevo contattato il signore di Singapore per questa piccola meraviglia di ladder Dac, ma poi ho visto l'ampli e non ho saputo resistere alla tentazione di postare le foto precedenti. In ogni caso, robettina molto interessante e per nulla costosa. Questa è l'ultima, lo giuro! Puoi scrivere il link del produttore? @franci2105 ha scritto: Puoi scrivere il link del produttore? Per eventuali informazioni potete contattarli via email, come ho fatto io, appunto. Se avete modo di ascoltare questo amplificatore, fatelo, perchè si tratta di un amplificatore sorprendente per qualità complessiva e capacità dinamica. Davvero stupefacente! Per chi fosse interessato, allego la mia recensione trasmessa a Vinshine Audio a valle della prova effettuata sull'amplificatore. A chi non interessa, passi liberamente oltre, naturalmente. During these days I’ve had the opportunity to listen in my headphones setup this amplifier built in China, thanks to Mr. Alvin Chee’s kindness and willingness (he is the worldwide retailer boss of the Vinshine Audio), who has authorized a listening tour in Italy for these products (an integrated amplifier, a preamplifier and, in fact, a headphone amplifier) . As an old fan of headphones I could not miss this opportunity, even if, now, I have to write a review! I'm not a professional reviewer, I’m only a music lover and, in contrast to many people who populate social media in the audio field, I'm neither employed by any producer/distributor nor any magazine related to them. What you’ll read, if you want, is just what my old ears have to report on this object. The device arrives from Vinshine Audio inside a double box in sturdy cardboard, a necessary condition to have reasonable assurance that electronics components will not suffer due to any usual transport damage (this is not the case, for example, for Denafrips products ...). In the package there are either the device or its user manual, unfortunately written only in Chinese language and useful only for the figures describing the connections. It would not be bad to have at least one copy in English. No power cord is enclosed. The amplifier is small (27 x 21 x 10 cm) but quite heavy (~6 kg) and immediately gives a sense of strength and concreteness that do not hurt. The front panel seems built in aluminum, about 1 cm thick, with a horizontal line design. You may like it or not, but on the whole, thanks to the large volume of its volume knob with a sunken front, it looks quite elegant. The cover, probably consisting of a painted aluminum sheet, appears aesthetically quite modest, as evidenced by the ease with which it maintains the fingerprints on the upper part, that then cannot be easily removed. 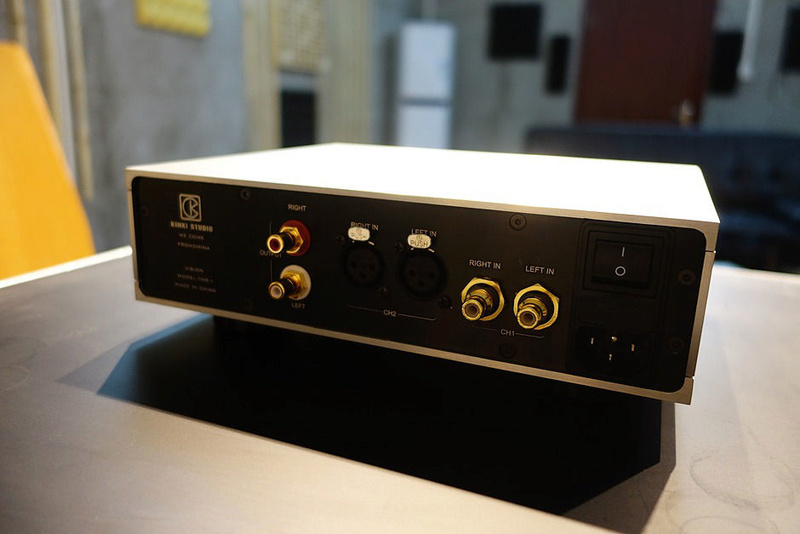 From a technical point of view, it is a balanced amplifier, equipped with a dual XLR / RCA input, capable to work also as a small line preamplifier, if needed. There is a small lever diverter on the front that let you decide whether to use the device as an amplifier or as a pre. The main output is balanced, with a XLR connection. On the front panel there are: the power switch, the diverter for the operating mode, the volume knob and three headphone connections: the first is made with a XLR 4-pin, to connect headphones with separate masses, the other two are 6.3 mm jack connections, the first of which is dedicated to impedance headphones between 400 and 800 Ohms, while the second is dedicated to impedance headphones between 10 and 400 Ohms. A push-button diverter for input selection completes the front panel. The tests I performed were done exclusively with the device in headset mode, connected in balanced to my DAC Denafrips Venus. Listening to my headphones park involved: HiFiMan HE1000 V1, Sennheiser HD600 Monster, 535, 545 and 565, Beyerdynamics Tesla T1 V1, Denon D7200, Spirit Labs Grado and Beyer Custom Studio. Time did not allow me to try any other!!! I’ve used Portento Audio headphone cables (for replaceable ones), DAC Denafrips Venus and Roon player with sOTM sMS-200 endpoint. I must say, first of all, that I am a very passionate subject of high efficiency and high dynamics. I'm no longer a fan of hi-end detail. I need either to perceive involvement and dynamics or to be able to beat the rhythm of music with my feet. So, each of you has to keep in mind these considerations to understand better my words. The first day I’ve tested two headphones placed at the extremes in terms of impedance: the Beyer T1, with its 600 Ohms, and the Denon D7200 with its 25 Ohms but, above all, with its 105 dB of sensitivity. 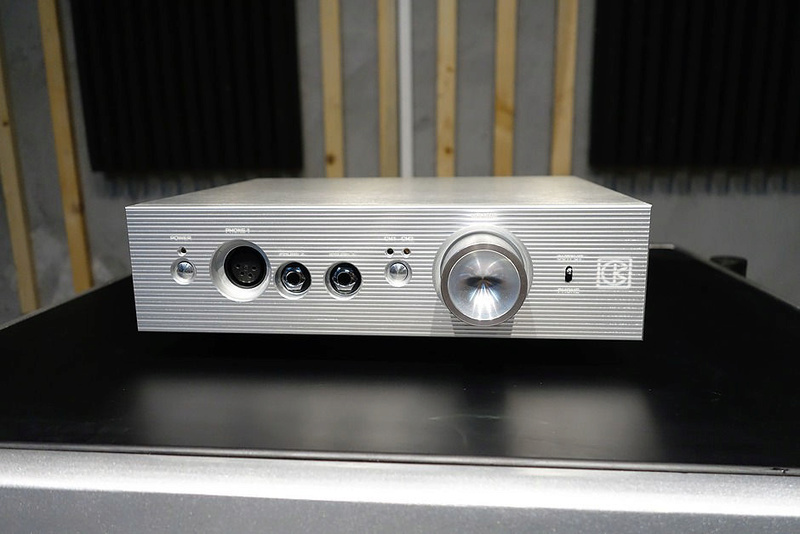 I underline how the Kinki amplifier is able to deliver a very high power, ranging from 28W on 8 Ohm to 1.3W on 600 Ohm, absolutely unknown to the vast majority of headphone amplifiers. This data allows practicing anything, even if, as we will see, it is not always a favorable characteristic. The Beyer T1 appears immediately more present than I usually hear it. Though showing an elegant and well-sized soundstage, the voice appears closer. The timbre is beautiful, lacking in any harshness that the T1 can give when mishandled. Only the low range appears slightly backward, although this perception is probably due to the midrange approaching. Personally, to obtain a better range balance, I prefer the headphone output 10/400 to the 400/800. If we really want to stress the low range, a resistance of 200 Ohm in series to the connector is particularly helpful (I know it’s not an orthodox practice, but for me only the improvement of the sound counts...). I would say a performance of 8. The Denon D7200, headphone that I personally consider to be the best closed headphone on the market, shows, however, some problems, due to the very high sensitivity. Given that, even with these impedances and sensitivity, the Kinki is completely silent (neither rustle or buzz, so easily perceived in many amplifications even with a big name), its volume potentiometer sensitive to some imbalance problems between the channels next to the 0 position. 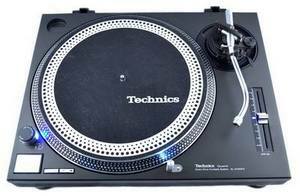 With the Denon you cannot overcome this first part of the potentiometer excursion and the sound appears unbalanced on the left channel. Perhaps a sensitivity selector could be useful in order to take advantage of these headphones as well. Nothing to say about the timbre, even though in this case the low range appears a bit 'back’. But I think the problem is only related to the volume position. For these reasons I would say a 6.5 performance. 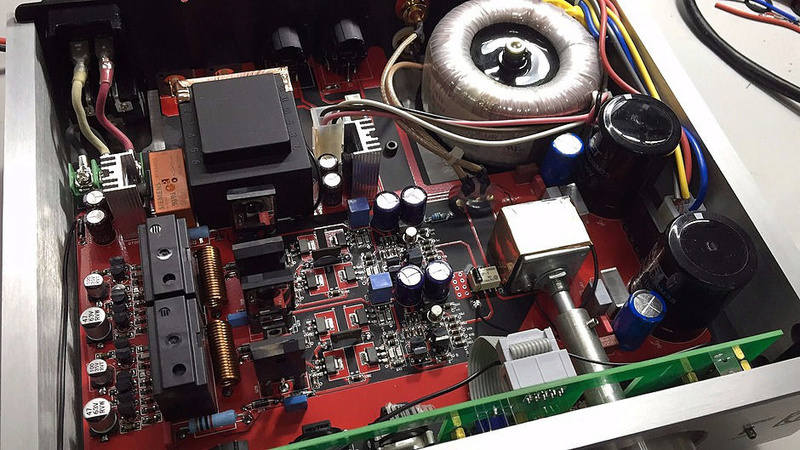 Il problema dell'elevato gain dei modelli preserie è stato risolto, permettendo oggi all'amplificatore di pilotare anche cuffie molto sensibili senza necessità di artifici esterni. un confronto con l'AF-6 ? Sarebbe interessante, se non sbaglio l’af6 nasceva per le ortodinamiche più critiche da pilotare, tipo l’he6...o non vuoi far dispiacere il Boss dicendogli che questo ampli suoni meglio del suo?? Io proponevo a Giorgio un confronto perché l’af6 è un ampli che gli è sempre piaciuto e penso, che sia stato, o magari lo è ancora, il suo riferimento. Poi, è un po’ riduttivo dire che nasce per la he6, perché in realtà, pilota molte altre cuffie, sia ortodinamiche che dinamiche. Per il meglio o peggio, penso che ognuno avrà le sue idee a riguardo, checchè se ne dica sui forum. Non avevo più letto questo thread, ragione per la quale non ho più risposto. Non ho vincoli con nessuno, se non la buona educazione. Come dice Sal, considero l'AF-6 un eccellente amplificatore, per la sua notevolissima musicalità. E' certamente, per me, un riferimento qualitativo col quale confrontarsi nella valutazione degli altri amplificatori. Ritengo, nell'ambito del mio parco cuffie, l'AF-6 superiore al Kinki con la Beyer Tesla T1, che riesce a far suonare in maniera eccelsa, e con la Denon D7200, alla quale dona un suono impensabile per una cuffia chiusa. Con le altre cuffie preferisco il Kinki, soprattutto con la HE1000 e con le Sennheiser, che suonano in modo assolutamente strepitoso. Due eccellenti amplificatori a livello assoluto, per me. Il Kinki ha dalla sua il notevole vantaggio di costare molto meno. @Edmond ha scritto: Non avevo più letto questo thread, ragione per la quale non ho più risposto. Non ho vincoli con nessuno, se non la buona educazione. Grazie George...strano però che un ampli , che come si afferma, è nato per governare le ortodinamiche più dure da gestire, venga superato in prestazioni da questo “modesto” cinese, che oltre che ad essere a buon mercato, non ha niente di figo progettualmente parlando. Io credo, Sal, che la cosa importante sia la bontà del circuito è non la sua eventuale complessità.